I am delighted to announce that the Ministry of Justice (MoJ) will be hosting the Civil Service International Women’s Day event on 9 March. In MoJ, around 49% of our workforce are female and in the Civil Service more widely, over half of the workforce are women. It is, therefore, fitting that this day celebrates the contribution that women make and the opportunities that are available to them. Our commitment to equality is reflected in the Civil Service Talent Action Plan, which focuses on ensuring that talent is recognised regardless of gender, ethnicity, sexuality or disability. This plan sets out the measures that have been put in place to ensure our policies support women, such as job-sharing and flexible working. These benefits make the Civil Service one of the most family friendly and fair employers in the UK. In the MoJ we have also set up a Gender Equality Forum, that is looking at gender inequalities in the department and how best to address this. Sponsored by Ernst & Young, the keynote speakers for this year’s International Women’s Day include John Manzoni, Sir Jeremy Heywood, Vanessa Vallely (CEO & Founder of WeAreTheCity) and Liz Bingham from Ernst and Young. The event will involve attendance at a range of workshops, which cover issues including Inspirational Women, the Women’s Business Council, flexible working, confidence and authentic leadership. I cannot access the online booking form via MOD's IT system - please advise. Why when we talk about better equaity for women do we always talk about familiy-friendly policies? Men have families too!! If we retain the link between working women and families we will reinforce the stereotypes then many already hold. Why not focus on retention-positive policies, or development opportunities instead? Are there any descriptions to go with the talk titles? If there's a glass ceiling in the Civil Service then I am yet to encounter it. Over nearly 30 years experience, the vast majority (three quarters if not more) of my line managers and senior managers have been women. Any chance of an International Man's Day? No, thought not. Grateful if you could advise how to register for this event as it is being advertised across civil service but not clear how to register to attend / if it is open to all civil servants, i.e. those outside MoJ. Thanks. I was given clearance to attend this but it was only given on the 24/02 is it too late to still register my interest in attending? Yes please advise how to book for this. We're afraid the application process closed on the 23 Feb.
We will be tweeting from the day and there will be a couple of blogs about the day available here shortly after the event. Once again, we're sorry you missed out this year. This was only recently promoted within our Department after the closing date. Is there no other way to book regardless of the closing of the application process? 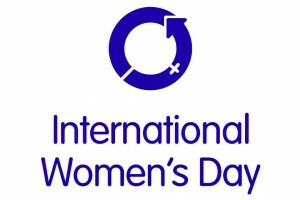 "...this day celebrates the contribution that women make and the opportunities that are available to them." When can we expect an event to celebrate the contribution that us men make? Still, at least it makes it really easy to answer the "Have Your Say" question about discrimination. International Men's day this year is November 19 - if you've got any ideas let us know.